Europa Door Lock - 3 Locking Bolts, Off White Powder Coated Finish, Manual Locking, Knob operated from the inside - Knob is lockable, Key operated from the outside, 4 dimple keys. By buying this product you can collect up to 208 loyalty points. Your cart will total 208 points that can be converted into a voucher of Rs. 10.40. 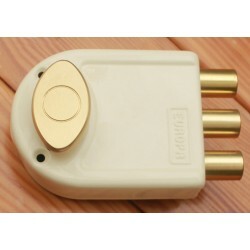 The 8123 IV has a metal body with an powder coated finish to suit your decor and door fittings. It has 3 locking bolts that are locked by operating the knob by hand from the inside and by key from the outside. 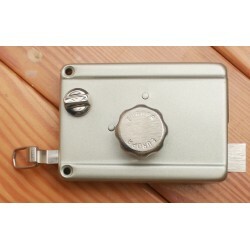 The knob from the inside is lockable in this model. This is a additional safety feature over 8113. 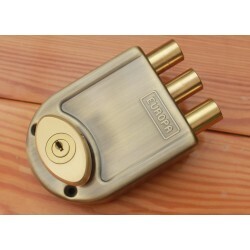 A set of 4 dimple keys is available with this door lock. 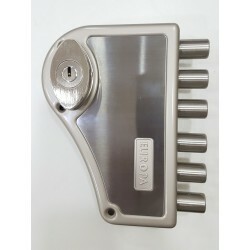 The keys are manufactured using a computer controlled engraver. 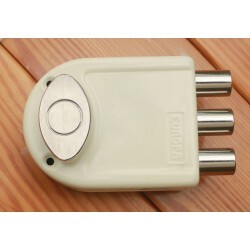 One key has an inbuilt torch for dark areas and night times when the key hole is difficult to locate. 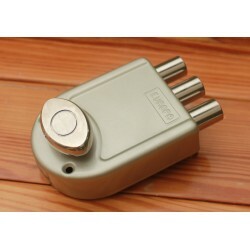 The locking action is smooth and strain free. The door lock can also be welded to mild steel grills and doors. A strong locking shackle with perpendicular and parallel screws enhances the locks strength. 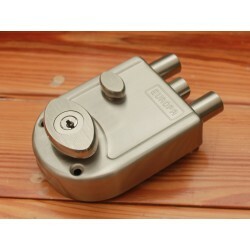 It has a 15 year manufacturer's warranty against mechanical defects. 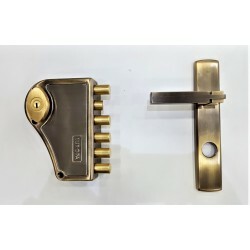 The manufacturer provides free installation in most major cities in India. Where ever possible, the installation will be booked by us. You will be provided a booking number and a phone number which you can use to follow up on your installation request. 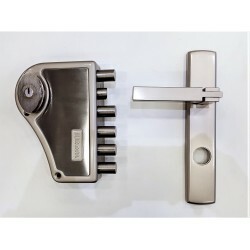 This door lock is suitable for inside opening doors. 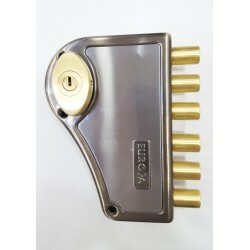 The door lock is suitable for doors that are 32mm thick and upwards. 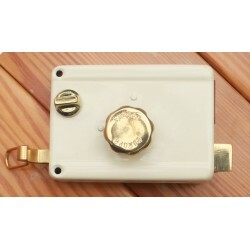 Doors lesser than 32mm thick are not suitable for installation. Outside opening doors are not suitable. Not suitable for double overlapping doors. 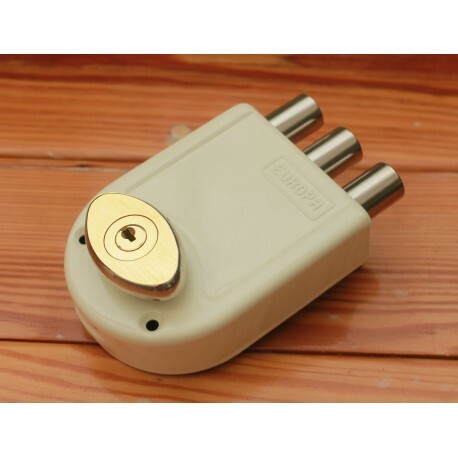 This lock is not a self locking lock.